Today after work, I ventured out into the 77° weather in Northern California to pull more weeds that have been popping up at the Red Dog Estate. 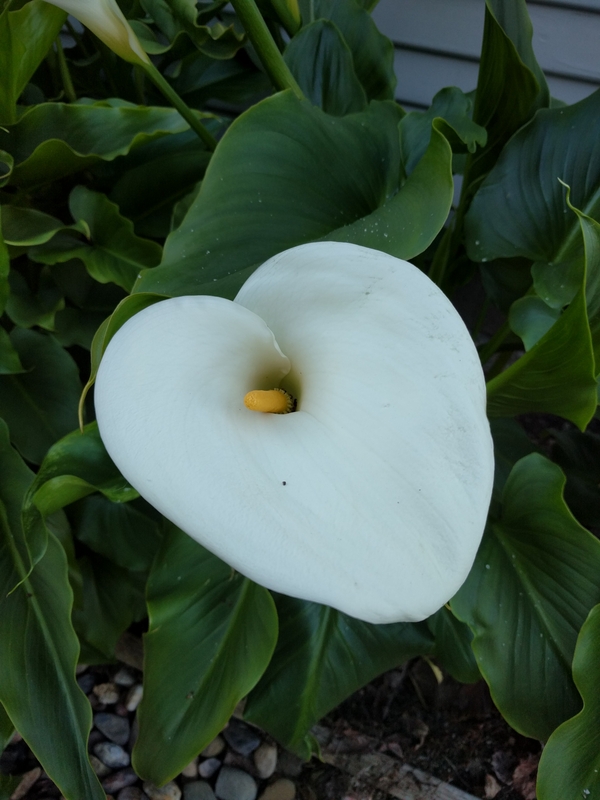 The White Calla Lilys are in full bloom and many have a shape similar to a heart. 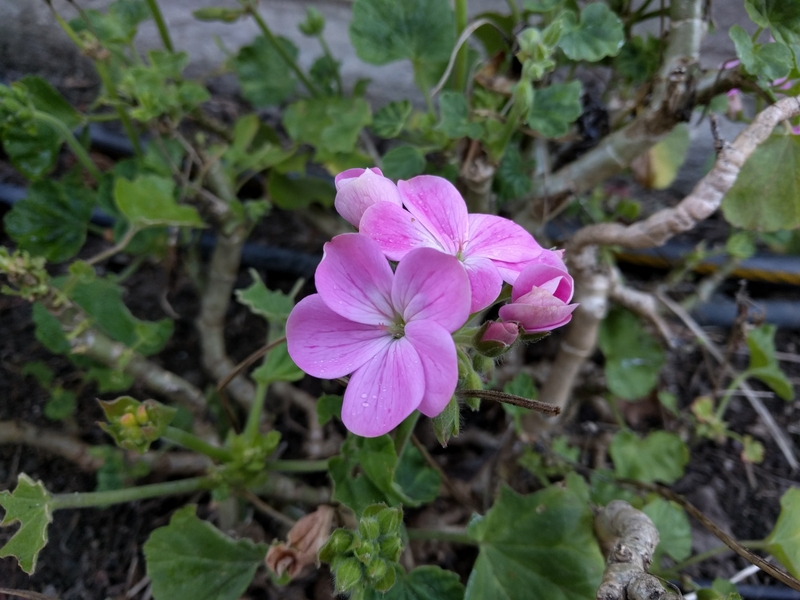 This quickly turned into a job of cutting back the frost bitten Geraniums. I also discovered new growth under the Peonies from last spring. I attempted to capture a picture of the Snowdrops(?) but Sally insisted on being in the picture. 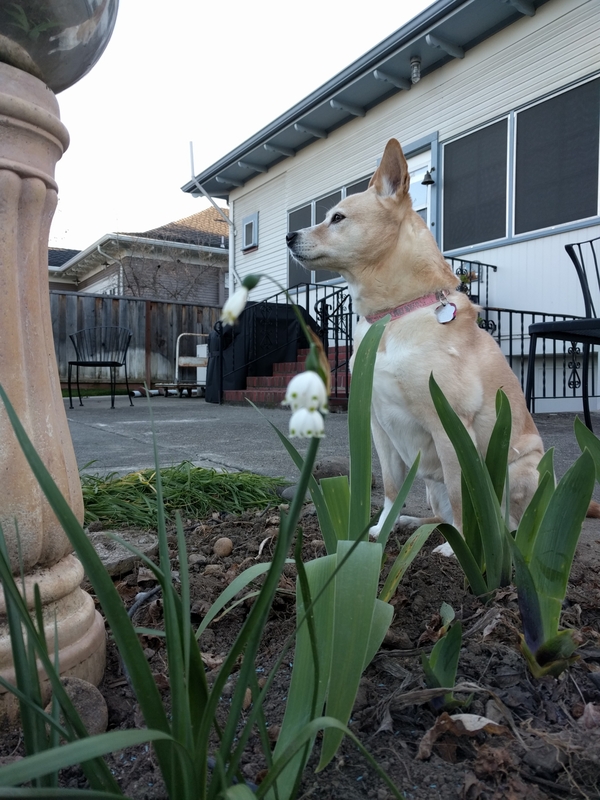 Beautiful spring weather and an afternoon in the garden are two reasons to be happy.